Bridge Tables and Cloths to suit all budgets - available here at Richmond Bridge! We stock a range of folding bridge tables to suit all budgets from good value metal legged tables to the luxury Pellisier models. Our card tables have been carefully chosen to represent great value for money whilst being stable and will give you years of trouble free life. All of our tables have folding legs so they can be stored away with ease and are all sturdy enough for both club and home use. We sell three different models of luxury wooden legged folding bridge tables. Two of them are manufactured in Devon by Pelissier, using their famous patented hinges. The company have been making the leading brand of card tables for decades. Their superior craftsmanship gives you a table that is a joy to play on as well as a beautiful piece of furniture in its own right. The metal legged models, are extremely sturdy whilst being the lightest weight card tables we sell. These are also the among the cheapest bridge tables available! 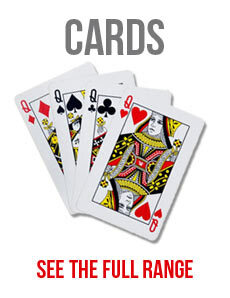 Scroll down the page to see our full range of folding card tables. Just click on the images to have a closer look. If you need any advice or assistance, feel free to call us on 0208 392 1551 and we will be happy to help in any way we can! Pelissier have been the leading brand in card tables for decades and their superior craftsmanship give you a table that is joy to play on as well as a beautiful piece of furniture in its own right. Why not treat yourself to a Pelissier Bridge table?